In announcing that they are giving up efforts to help the jaguar population recover, U.S. authorities have handed a death sentence to the big cat that was once plentiful along the border with Mexico. 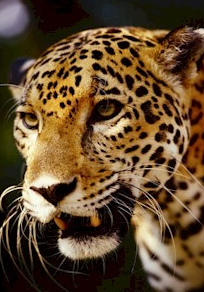 Jan 28 (Tierramérica).- Jaguars have no place in the United States, although a handful still roam the Southwest. 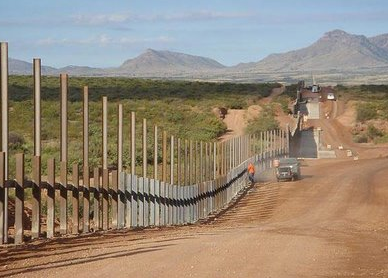 Environmentalists suspect the real reason U.S. officials will let the jaguar become extinct is the “security” wall being built along the Mexican border. 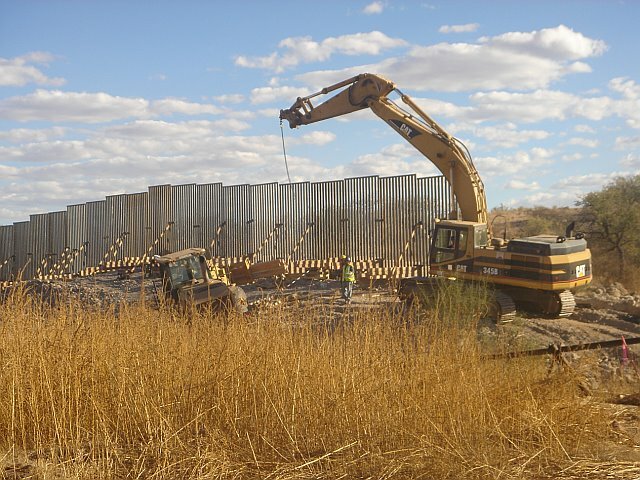 Ecologists have long warned that the border wall — actually a series of walls — will have big impacts on wildlife and the region’s fragile and unique ecology. “There is no question that jaguars (Panthera onca) in the U.S. and northern Mexico would be significantly affected by the wall,” says Joe Cook, expert in mammal biology at the University of New Mexico. “As best we can tell, the few remaining U.S. jaguars are part of a larger population based in Northern Mexico,” Cook told Tierramérica. The wall would stop the movement of jaguars north and south, greatly diminishing the genetic diversity of the animals trapped on either side. That loss of diversity could increase their susceptibility to disease and vulnerability to other environmental changes, he said. Jaguars have roamed the southern United States, from Louisiana to California, for thousands of years. Extensive predator control efforts in the late 1800s and much of the last century decimated their numbers until very few remained. Now a highly endangered species, U.S. endangered species laws require that the Fish and Wildlife Service (USFWS) develop a plan to help the jaguars’ recover. That has never happened and environmental groups, including the Center for Biological Diversity, have filed lawsuits to have one created. However, last week the USFWS announced it is abandoning all jaguar recovery efforts, stating that the United States represents only a small part of the animal’s range. Not only is that a poor justification scientifically, it also sets a precedent for smaller, poorer nations to argue that since they are only a small part of the jaguars range, or the range of any other animal, they should not have to protect endangered species, says Cook. “The (George W.) Bush administration has been horrific with respect to the conservation of America’s natural resources,” he adds. This is a sad reflection upon the Administration’s priorities and willingness to interpret laws in a way that favors destruction of habitat and wildlife. Viva el tigre!